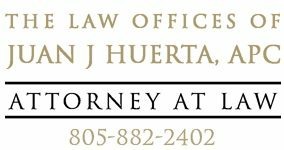 Juan Huerta Law recovers damages for bicyclist who were injured from moderate injuries to wrongful death and catastrophic injuries related to bicycles. We will work to establish driver liability related to red light and stop sign violations, speeding, reckless, drunk, distracted and negligent driving. We have a track record of achieving settlements on behalf of clients and families. The most common type of accident for bicyclists involves cases where vehicles turn into the bicycle path. If this has happened to you or a loved one, contact us right away. In addition to vehicles turning into bicycle paths, injury accidents occur for many other reasons, including sand or gravel on roadways, railroad tracks, uneven or cracked sidewalks. If you were involved in a bicycle accident in which you were out of compliance with existing laws regarding your bicycle or riding your bicycle, even though you may be partially at fault, you still have the right to recover damages. We perform comprehensive and methodical reviews and prepare cases for success in front of a jury, even as we work to gain damages on your behalf without going to trial.